Cork floors are now available from Flooring 4 You with samples of flooring and wall tiles from leading sustainable flooring manufacturer Granorte, at our Knutsford flooring showroom. Find out more about the new range of flooring available, from digitally printed cork floating floors to typical cork, leather floors and yes, wall tiles too! Showing: Some of the Granorte cork flooring on display at our Knutsford showroom. 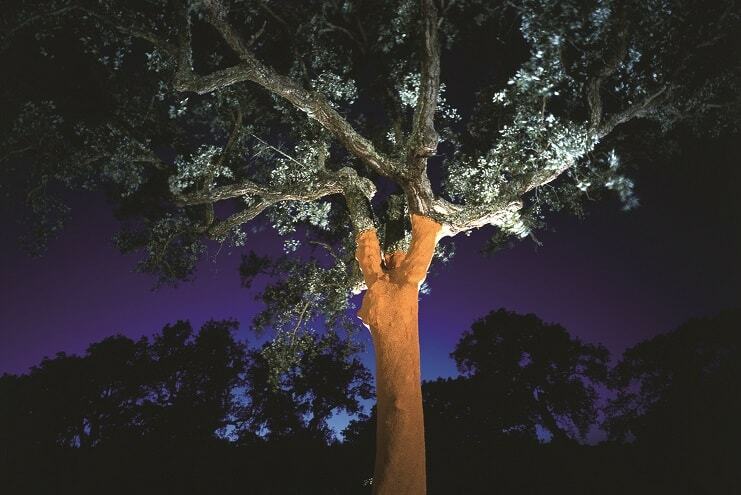 Made from the outer bark of cork oak trees, cork is a renewable, environmentally friendly material. The cork is stripped from the tree trunk every nine tot en years without harming the tree itself, after which a time a new layer of cork starts generating. Harvesting cork causes minimal impact to the environment and requires no trees to be cut down. Showing: Cork oak tree having gone through the process of bark removal. There are many benefits to cork flooring. Cork is a natural insulator and has excellent thermal and acoustic properties. With over thirty million “cushion cells” per cubic centimetre in its makeup, it is beautifully quiet, comfortable and warm underfoot. It’s also safe for use in the home, being naturally fire retardant and a material that inhibits the spread of flames. Cork is kinder to asthma sufferers too; it doesn’t absorb dust and is resistant to fungus and bacteria, helping to keep many other allergies at bay. Cork is also extremely strong with flexible membranes that are both airtight and waterproof – it’s this structure that prevents it from rotting and makes it an ideal material for sealing purposes. As a floor, it’s much lighter in weight than traditional hardwood flooring and is easy to install as much as maintain. And in the case of some of the cork flooring surfaces from Granorte, when combined with advanced coating technology, it ticks all the boxes from durability to warmth and is ideal for heavy traffic areas, requiring minimal maintenance. Showing: a traditional style cork floor from Granorte. What styles of cork flooring are available from Granorte? 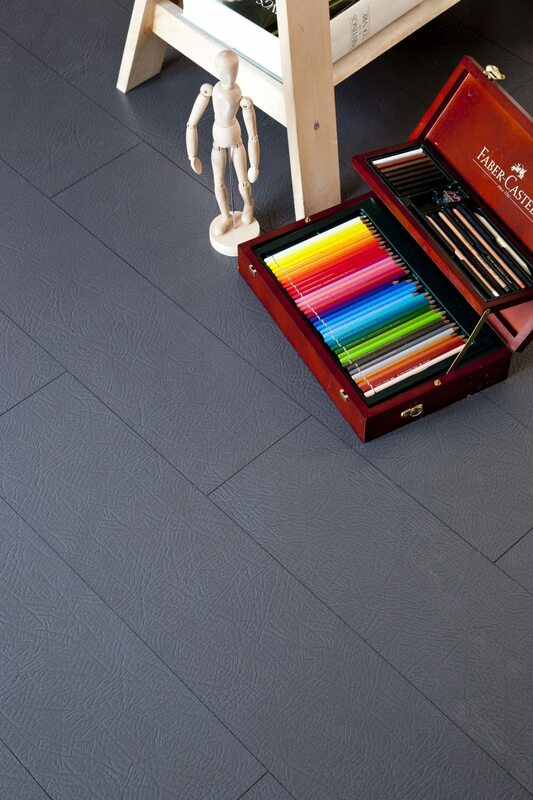 This is Granorte’s range of leather floors, although they’re not only made from leather. The surface is made of 100% recycled genuine leather, embossed with designs while beneath a layer of high-density, moisture resistant fibreboard, sits a 2mm thick layer of cork that acts as an acoustical underlay, with extra antibacterial protection. Available in both planks and tiles, there is the choice between floating or glue down installation, with planks compatible with the easy to install UNICLIC system. For a floor packed with personality and one that oozes luxury, leather flooring is well worth the look. 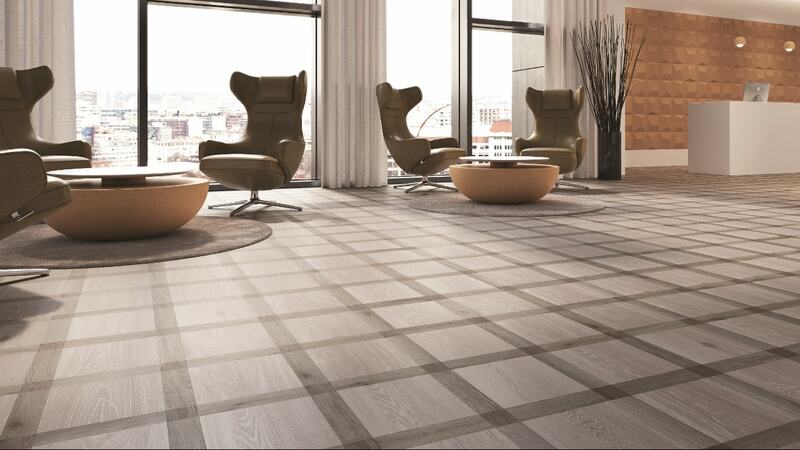 Showing: Umbria Ardesia in the Granorte Corium leather and cork floor collection. 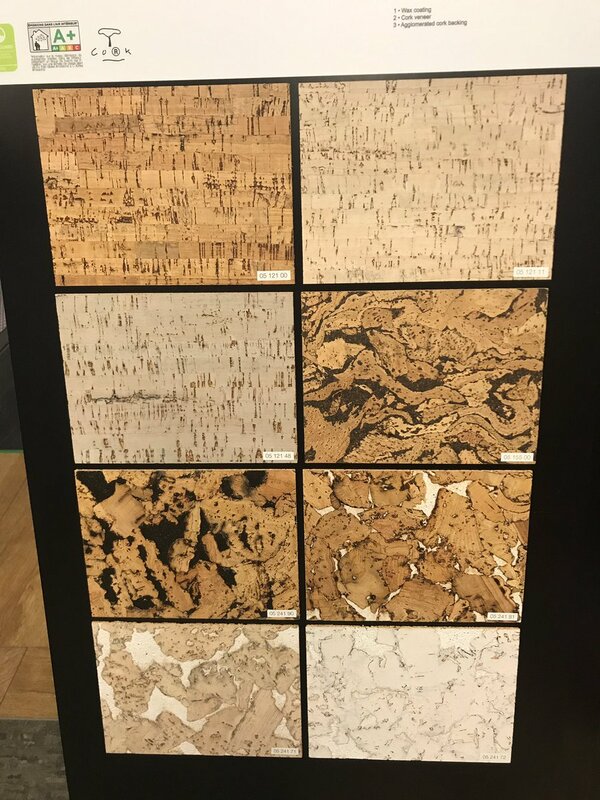 Cork is ideal for modern digital printing processes and Granorte have used state-of-the-art digital printing technology to create stunning surface decors onto recycled cork in the Vita Decor collection. 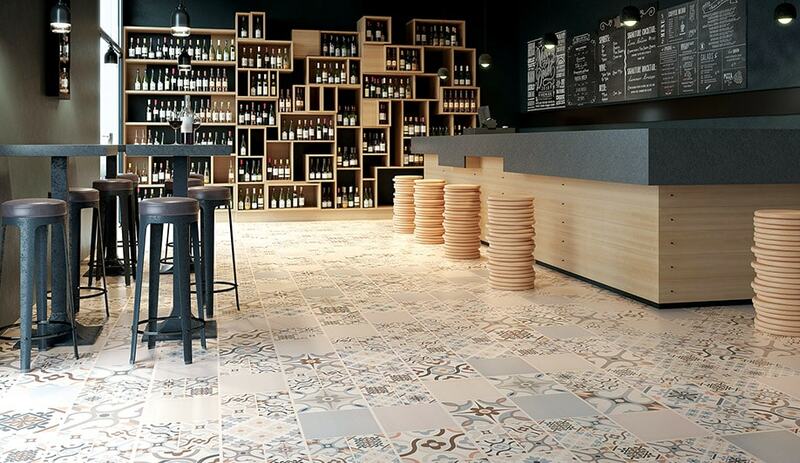 The Retile floating cork floor tiles are inspired by the patterns of traditional porcelain tiles found in Portugal villa and in Moroccan mosaics. The patterned tiles can be mixed and matched to create your unique floor. Showing: Retile Bold in the Granorte Vita Décor collection of easy to install cork flooring. Other digitally printed patterns that appear almost life-like include those that replicate wood in a range of exciting parquet-inspired styles, from chevrons to squares and even cubes. 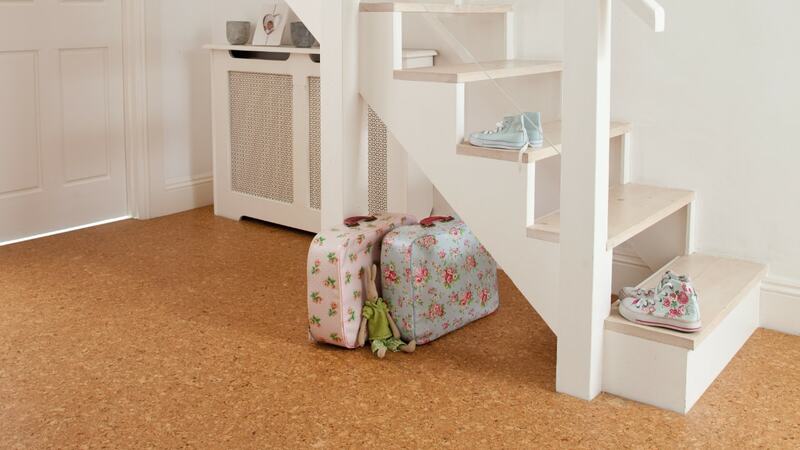 With the easy to install Uniclic system, these cork floating floors will bring any interior to life, while offering you the peace of mind of a high quality, easy to maintain floor that’s good for the environment. Showing: Trim Foursquare Grey in the Granorte Vita Décor cork flooring collection. And of course, there’s plenty of choice of typical cork patterns available too, perfect if you want to showcase your cork floor really is a cork floor. While all the Granorte floors are made from cork, some of them replicate tiles and woods so realistically, your friends and family may not believe you! If you love the characteristics of cork and all the benefits it has to offer, plus want a sustainable floor for your home, then you should definitely come and see the Granorte range of cork flooring. Visit our Knutsford showroom to see all the samples from Granorte, including the fabulous cork wall tiles. Or contact us today for a quotation for cork flooring for your home.